Recipe: Chia Seed Jam — Bell & Co. This jam is delightful. It takes only 10 minutes to whip up and is completely raw, and free of refined sugars. You get all of the nourishing benefits of raw fruits and the chia seeds. Chia seeds are pretty incredible. When you soak them they absorb all of the liquid and create a jam-like consistency. 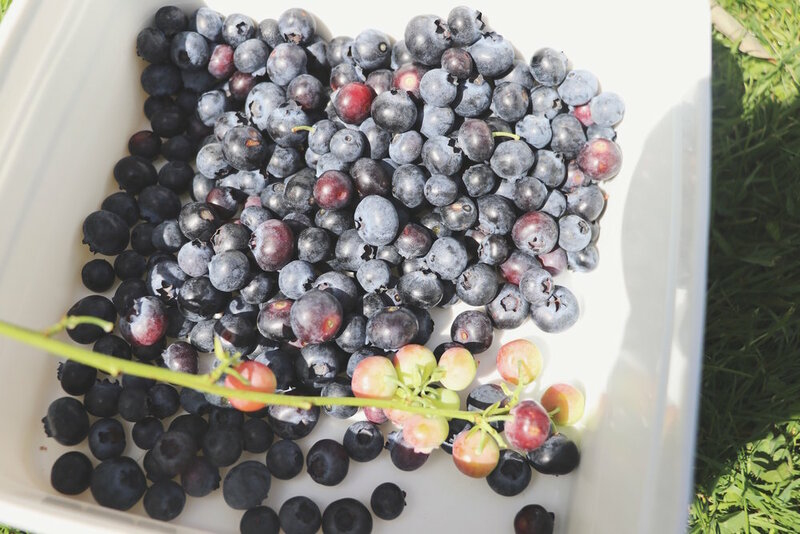 We used fresh blueberries that we picked ourselves, but you can use any kind of berry or fruit. My Mum is seriously allergic to all berries, so I made her a batch using fresh apricots. She loved it. You can also play around with the amount of sweetener you use depending on your own taste. Spread the jam on bread or scones or dollop on top of granola or yoghurt. Defrost the berries (if frozen) and put in a food processor or blender. Add the water, sweetener, lemon zest & juice. Pulse together until just blended. Pour into a mixing bowl and add the chia seeds. Make sure they are well incorporated into the fruit. The jam will keep in the fridge for up to 3 weeks.